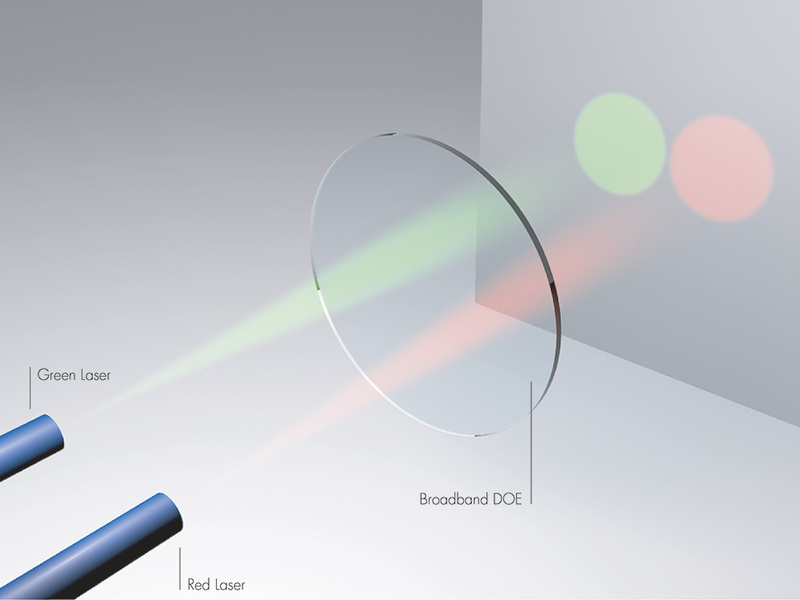 Broadband diffusers are used wherever light with several wavelengths must be scattered (e.g., in microscopy or in laser projectors in stadiums). Holo/OR has now developed a process with which high-performance scattering filters can be produced that cover a wavelength range from UV to NIR. With an efficiency of greater than 90%, hardly any losses occur. Regardless of the orientation of the light source, the light is distributed uniformly and does not lead to a zero-order diffraction. The optics can be used like ordinary diffractive optical elements (DOEs) and are available for round, rectangular, and linear spot shapes.